On Wednesday evening England played their last friendly game ahead of Euro 2016 preparations. Media speculated how few tickets the FA is going to sell. Number of 30,000-40,000 were indicated and all turned out quite right. Officially Wembley gave a 40,181 figure for the game, but it’s no secret that many of the 10,000 season ticket holders didn’t show up. Even cheap tickets didn’t help much as the lowest category (£20) hasn’t sold out. Majority of the lowest tier was filled, not much more. “People asking to take games around the country. 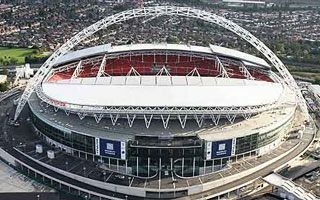 Fair question, but fact is FA has contract with Wembley to play all home games there. Re. Wembley. It has to be paid for. Reality is FA has to put events calendar on to do this. Still, London Evening Standard offered some consolation about the low numbers from Wembley. The newspaper reminded that this was still a huge turnout compared to any European mid-week friendly. It’s also twice as large as the worst game of old Wembley, a friendly against Colombia in 1995 which was watched by roughly 20,000 people.